Attention APA Members! 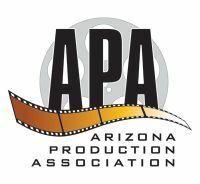 It's that time again - Time to review the CATEGORY LIST for the online production guide and make any adjustments needed before the first wave of membership renewals starts in June. The Directory Committee will also be looking at the whole list to see if any categories are outdated and should be renamed or deleted, and we're researching how our category list compares to other industry standards. Please send your suggestions in writing via email to: larryniemi@cox.net and Julie@azproduction.com by FRIDAY, MAY 22. THANK YOU for helping us keep YOUR Directory up to date and at the top of its game!